Jesus Is Not Acceptable For Christmas! 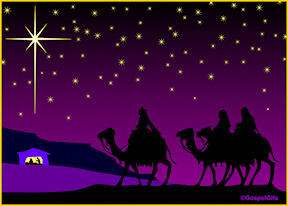 WOW - The wise men are MISSING! What kind of Christmas is this anyway? Are you caught up in the "season" with this Christmas thing? Do YOU know where the wise men are? For over 200 years we have celebrated Christmas and all of the joys and festivities that go with the "holidays" in this great country of ours. Christmas was declared a federal holiday in 1870 by President Ulysses S. Grant for the purpose of celebrating the "philosophy of good will toward men." What's changed? And, where are those wise men? The Associated Press reported last Christmas that in New Jersey the sixth-grade class of the South Orange Middle School planned a field trip to see the play, "A Christmas Carol." However, due to pressure from some of the parents the field trip was "re-routed" to a show, "The Great Railroad Race"! Why? Because of the concerns from parents that the play, "A Christmas Carol" might have something to do with CHRISTMAS! The school principal told the AP, "There is a great sensitivity to putting students in awkward situations." Hundreds of towns across the US have banned placing nativity scenes and even poinsettias on public property. It seems that the ACLU as well as other organizations have threatened lawsuits and instilled the fear of God, uh, that would be the fear of "a greater power" because we have these "sensitivity concerns" and need to suppress any kind of religious display! Why? Because Jesus Christ is involved in Christmas. Christmas is the celebration of the birth of Jesus. Jesus Christ, the great philosopher who believed that all men should love one another! DOWN with all the happiness this national holiday brings to old and young alike. DOWN with tradition. DOWN with peace on earth and good will towards men. OH, and forget about that love one another stuff! Our world is in such GREAT shape this Christmas that we really don't need any of that LOVE stuff, right? And just how do we take Christ out of this season, out of Christmas? And WHY would we want to? Our founding forefathers saw fit to utilize much of Christ's philosophy in drafting the Constitution of the United States, a document that is the rock of this country reads..."One nation under God..."
Where are the wise men? We need them and I hope they show up pronto and start hanging out with us. This US would be WE, mis-guided and very confused Americans! In the precious name of Christmas and all the wonder, magic, peace and love that it holds, please whisper a prayer that the "wise men" will show up in the nick of time for the world! 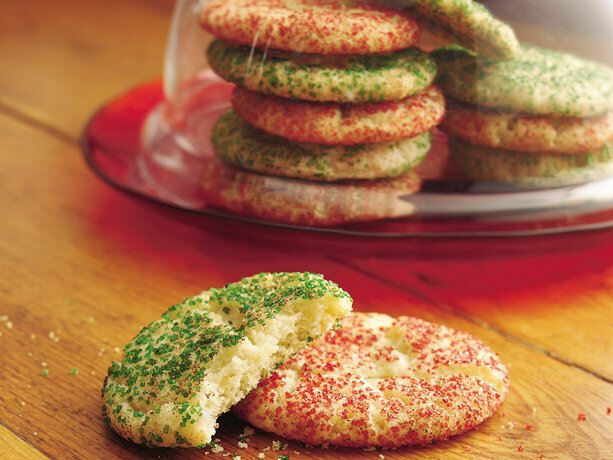 Have you ever been to an old-fashioned Christmas "cookie swap"? 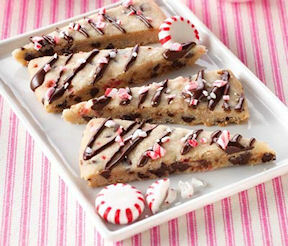 A Christmas Cookie Swap is the perfect way to begin your holiday festivities! Set your date NOW and begin inviting your friends! Make it special from the start and create an email invitation or text. (Note: I like to call this gala a "Goodie Swap" because then guests can bring Christmas candy or their favorite bars... it just widens the cookie scope a bit). 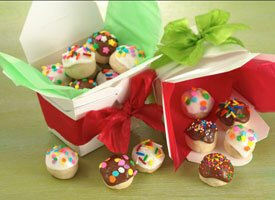 Decide on the rules of the cookie game... the standard rule of thumb is 1/2 dozen per each guest. 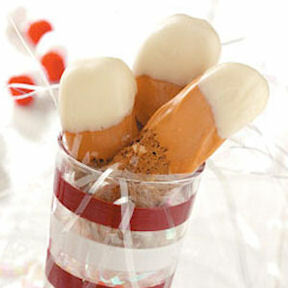 Each guest brings "one kind of goodie" (don't forget to include yourself as a guest so you get goodies too)! So, if you're having 9 guests and each guest is to bring 1/2 dozen per guest... that would be 4 1/2 dozen cookies. 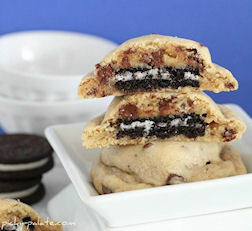 THEN ADD 1/2 dozen for a total of 5 dozen cookies per guest. Why the "extra" half dozen? So everyone can sample the goodies at the party! Be sure to ask each guest to bring printed recipes for their goodies. 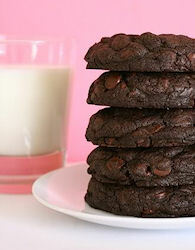 Why not request that the goodie recipes be printed on a 4" x 6" card. Then use a fancy punch (like a star), some pretty red ribbon and tie all the goodie recipes together to form a little booklet for each guest to take home. You could print out some special Christmas quotes on a 4" x 6" card with the date and "First Annual Goodie Swap" on it for a cover! What a nice memento of a fun-filled time with friends! I'll bet come next year you will be getting inquires as to when the annual swap is going to be! Make special tent cards to write the name of each type of goodie and place the tent cards in front of each plate of goodies (these would be the goodies your guests bring to swap). 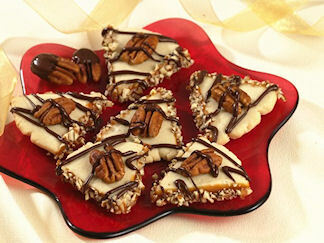 Have a large platter or tray for the sampling goodies that each guest can contribute to as they arrive. A plain tablecloth works best so the focal point is your "goodies on parade!" Ask everyone to dress for the occasion! Get in the spirit and get out your Christmas duds... it may be a homemade Christmas sweatshirt or a pretty Christmas sweater, just make it festive! You, the hostess, can prepare something easy like Hot Christmas Wassail in the slow cooker along with a variety of hot teas and hot chocolate. 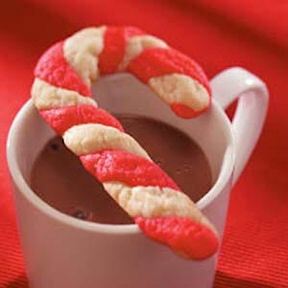 Prepare a special coffee drink with a dollop of whipped cream and start tasting! Remember to set out a couple pitchers of water with lemon slices and small glasses. Place Christmas candles everywhere... even in the bathroom... Crank up those Christmas tunes and you have a party! Have each guest tell about their creation that they have brought to contribute. Maybe the first batch flopped... maybe they were trying to convert an old recipe... there might be some giggles there... maybe it is just a favorite that they wanted to share! We all have stories to tell and stories are the best when they are shared! Ask each guest to bring a large container to tote their goodies home in and circle the table with each guest taking their share. I guarantee you that you won't regret taking the time to host this sharing occasion and if you are a guest you will be so tickled that you took the time to prepare and attend. Meanwhile, I wanted to dedicate a page to Christmas baking and give you all a special little Christmas gift of a "Christmas Goodie Collection!" I've found these wonderful recipes all over the internet so instead of you having to do the work, I'm going to be posting new recipes right here for you with credit where credit is due for the photos and recipes. 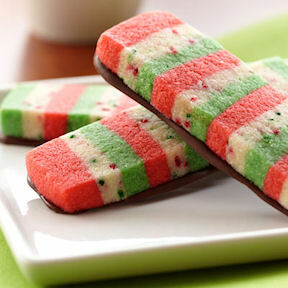 Cookie Swaps are so much fun at Christmas and can be very helpful in beefing up your cookie supplies as well. 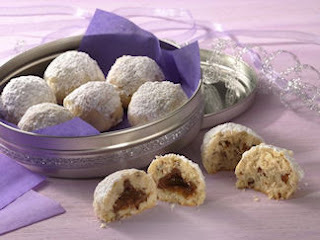 If you have a favorite cookie or candy recipe that you'd like to share, please send it to me at jan@janmccracken.com... I'd love to hear from you! 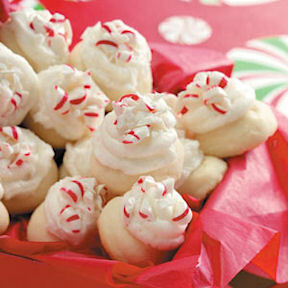 Let's head to the kitchen, crank up the Christmas tunes and get baking! 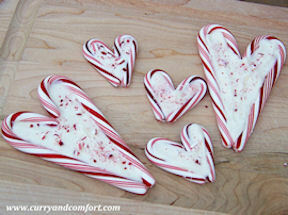 Always a favorite... especially if you let the kids help make them! 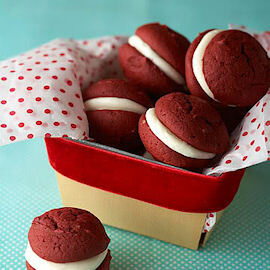 They really "dressed up" the cookie trays... and they are so easy! I used sprinkles with red and green and tiny little snowflakes... too cute!